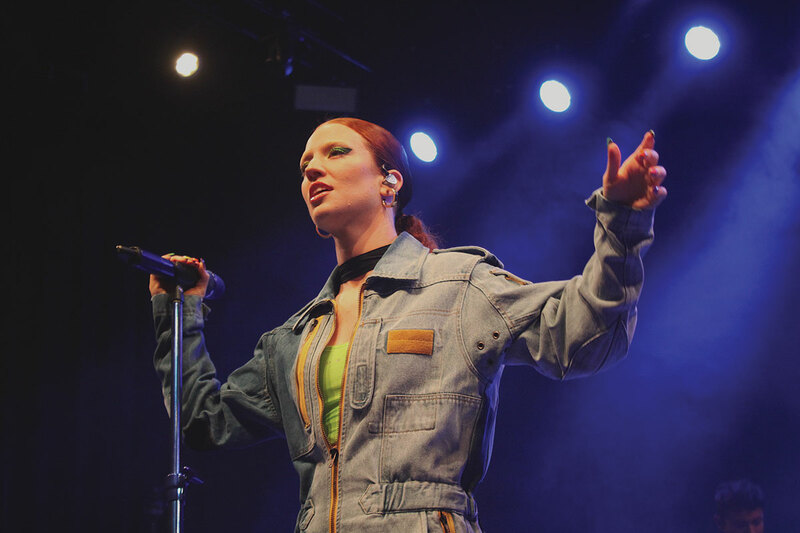 Four years ago, Jess Glynne released her debut album “I Cry When I Laugh.” It was one of my favorite albums of the year, and I was very excited to see her perform live. Then the blizzard hit. Glynne’s Philadelphia performance was cancelled, and she was unable to reschedule before going back to England. However, Philadelphia finally got to experience Glynne April 6. She acknowledged her cancelled show right at the beginning of her set. “Last time I was supposed to come here, I had to cancel. But I’m here now, is that all right?” Glynne asked the sold out crowd. From the uproarious response, it seemed that the audience didn’t mind at all. New York based artist Abir opened the show. 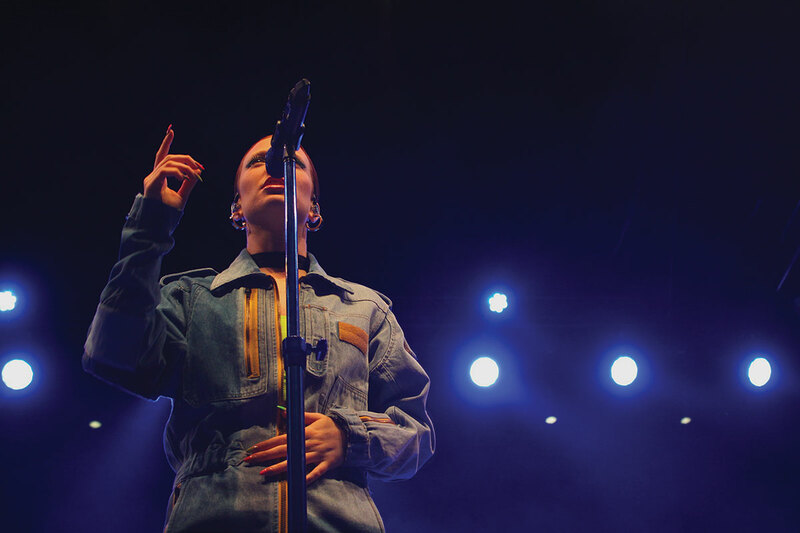 She performed selections from her debut EP “Mint” and a couple cover songs, including Disclosure’s “Latch.” Her set was full of energy, and the crowd was easily able to get into her music. Abir’s music is R&B with a pop slant. During the performance, her voice was full and tackled clean runs and ad libs with ease. She closed her set with her collaboration with EDM trio Cash Cash, “Finest Hour.” It was a powerful performance and a great way to end her set. 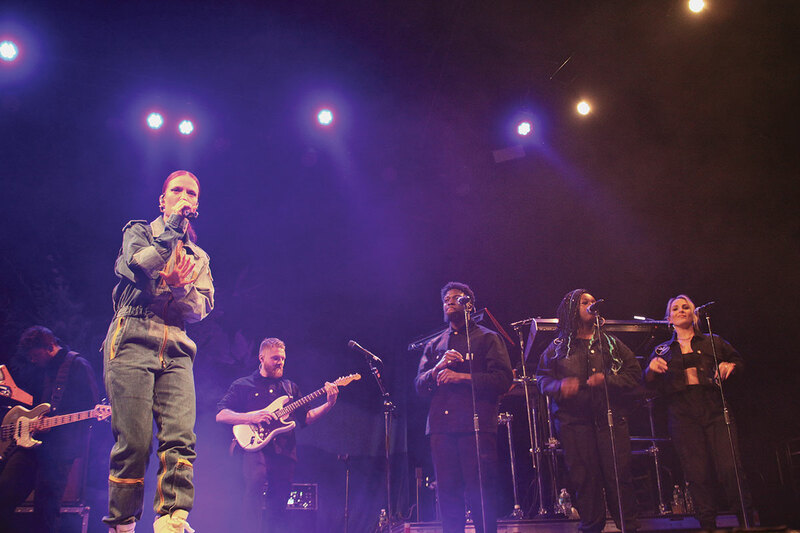 Jess Glynne took to the stage with a full band and three back-up singers. The three back-up singers were crucial to the set given the choral elements in many of her songs. Her fiery locks were pulled back, and she rocked a denim jumpsuit paired with white Marc Jacobs combat boots. She opened with “Hold My Hand,” one of her most popular songs here in the U.S. The energy of the audience was immediately palpable, and they began singing along to every word. Glynne’s voice was breathtaking, despite the fact that she had just cancelled her show the day before in Washington D.C. due to illness. She very well could have been holding back a bit, but she still sounded stunning. Glynne had a great connection with her band and singers, and everyone got a moment to shine. Her music has a certain element and soulfulness that makes it even more vibrant when performed live. The crowd at Union Transfer was buzzing and singing and dancing the whole set. She closed the show with her Clean Bandit collaboration, “Rather Be,” which brought her into the mainstream consciousness. This song had the audience at full volume. Her encore included a performance of her debut track “Right Here” and the lead single from “Always in Between,” “I’ll Be There.” It was a great night of music from top to bottom, and I hope Glynne returns to the city soon.